The 37 mm Gun M3 was the first dedicated anti-tank gun fielded by United States forces in numbers. Introduced in 1940, it became the standard anti-tank gun of the U.S. infantry with its size enabling it to be pulled by a jeep. However, the continuing improvement of German tanks quickly rendered the 37 mm ineffective, and by 1943 it was being gradually replaced in the European and Mediterranean theaters by the more powerful British-developed 57 mm Gun M1. In the Pacific, where the Japanese tank threat was less significant, the M3 remained in service until the end of the war. The M5 and M6 tank mounted variants were used in several models of armored vehicles most notably in the Stuart Light Tank M3/M5, the Lee Medium Tank M3, and Greyhound Light Armored Car M8. In addition, the M3 in its original version was mated to a number of other self-propelled carriages. If I recall, this gun has been included in the past when Bronco paired it with a 1/4 ton light truck. We now have the opportunity to build the kit on its own. It also has the benefit of being quite reasonably priced. 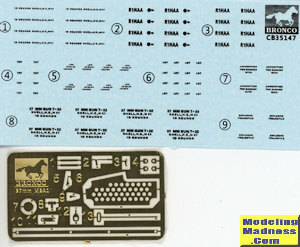 There are four main gun sprues and two others for ammo and boxes. A small photo etch fret is included with some minor bit and one major piece, a side shield to keep folks from being smacked with ejecting cartridge cases. This shield will fit into a plastic frame. The gun can move up and down with some side to side movement as well. What cannot be moved are the trails. Apparently one has to choose the transport or action position for these. You do get two different styles of wheels and the lower gun shield can be posed up or down. Other than that, there really isn't much in terms of options. 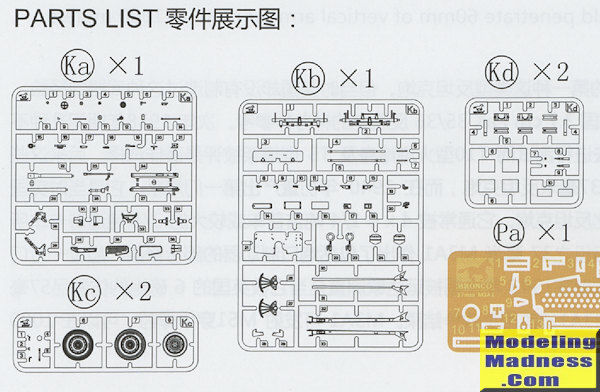 Don't think that this is a basic kit as there are a lot of small parts to deal with. The kit also comes with two types of ammo and a number of ammo cases. Instructions are well done with sections in color and some nice detail images. Decals are only for the ammo cases as those guns used in combat did not carry serials. Several years back, there was no 1/35 37mm gun kit around and I suffered through a rather indifferently molded French resin kit. 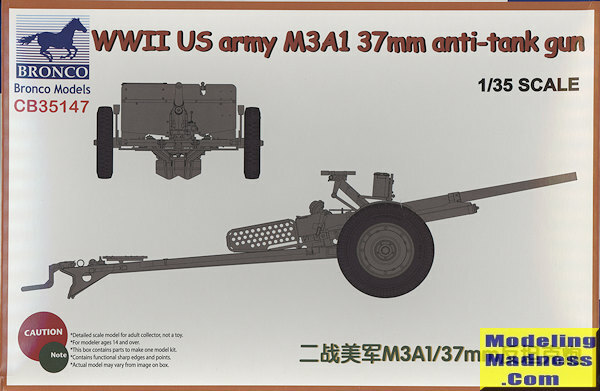 Now we all have the opportunity to build what looks like a very nice kit of this important US infantry support gun. Thanks to www.dragonmodelsusa.com for the preview kit. Get yours today from your favorite retailer.